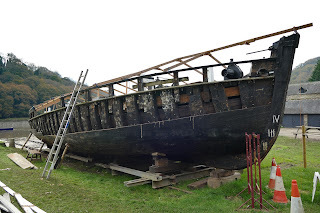 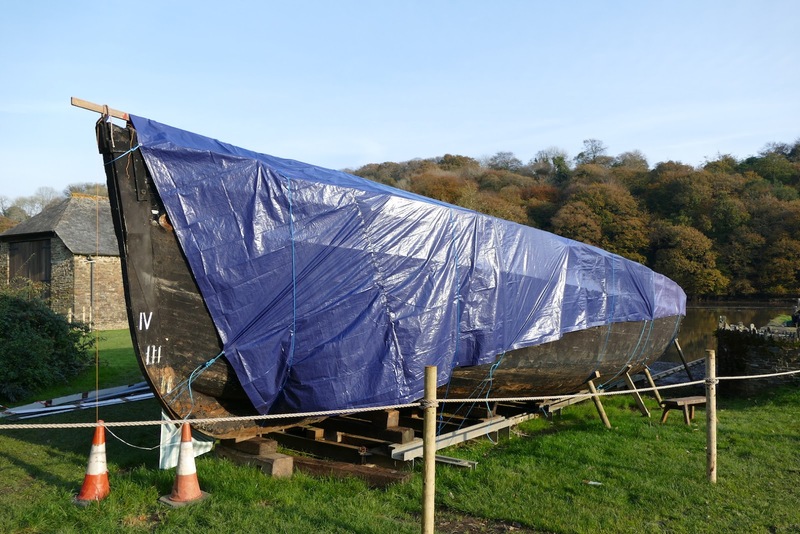 With the arrival of Penryn shipwright Adrian Grigg (Shuggs), plus his assistant Josh Flatt, a start has been made on Shamrock's repairs, all the rotten starboard side hull planks have been removed along with a section of the bulwark. Bob Medler of R&J Maritime Ltd has also completed a survey of Shamrock's condition. The news is not all bad as apart from the already known hull planks and false keel the extras found so far are the starboard side beamshelf, a section of covering board* and some bulwark stanchions. 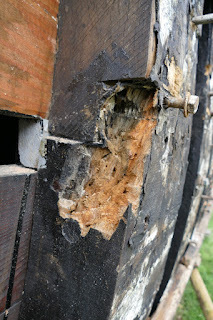 A few of her main frames will also need sections of rot removed and “new wood” scarf jointed into place. 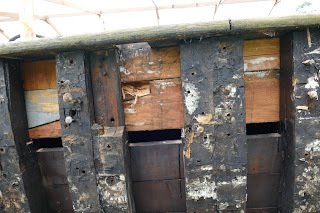 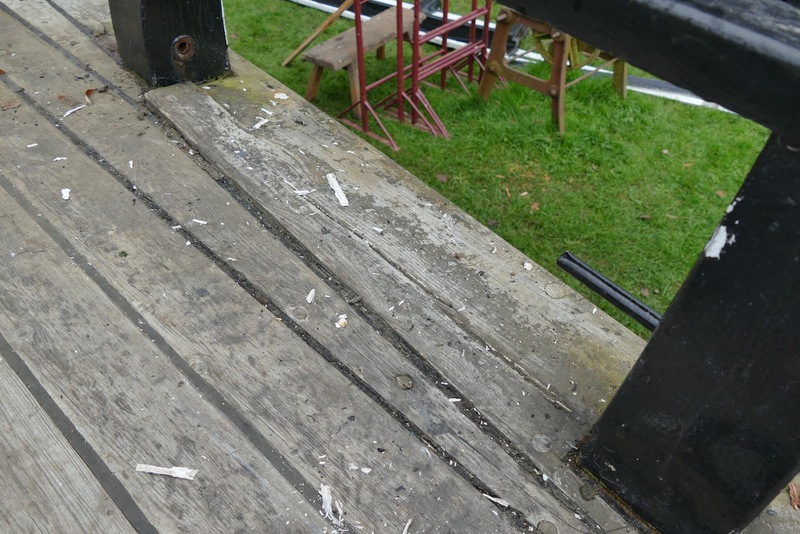 * COVERING BOARD The outermost deck plank which covers the timber heads of the frames.